Manx Norton , May 1948 , 500 cc Engine , With Known Race History , Came 20th , In The Manx Senior TT And With Famous Tuners Initials Stamped On It ...None Other Than Francis Beart !! 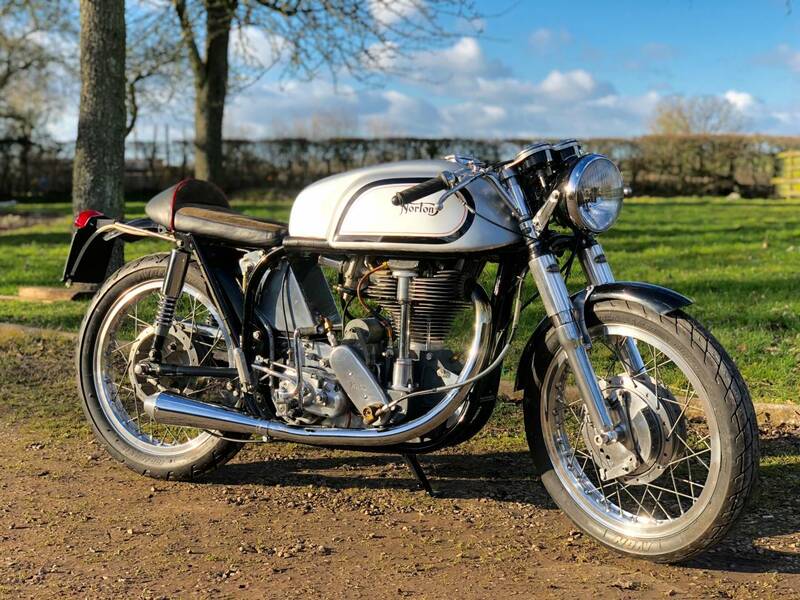 ( See Francis Beart's History File Below .... ) Fitted Into A Road Registered , 1959 , Wideline Frame , With kickstart , 12 Volt Electrics , Small Hidden Battery And Rebuilt Mag And Dynamo , For Charging And To Power The Lights And Horn , For Safe Public Road Use . This Lovely Machine , Was Conceived And Built By A Time Served Engineer , To A Very High Spec , Over A 5 Year Period ! He Created A Log Book , With Everything Done In The Build . It Looks Superb , Runs And Rides Very Well , Starts First Kick , Ticks Over And Sounds Lovely . ( See Video ) It's Fitted With An Amal 10TT9 Carb , Alley 5 Gallon Racing Tank , Racing Seat , Road Holder Forks , 19 Inch Wheels , Bob Newby Clutch And Belt Drive . In The TT , This Engine Was Raced , With An 11:1 Piston , That Comes With The Sale , But Now Fitted With An 8.5 To 1 , In A STD Bore , For Easy Starting And More Civilised Road Use ! The Engine Has Been Fully Rebuilt , By A Norton Expert . It's Fitted With A Fully Rebuilt , Laydown Norton Gearbox , With Close Ratio Gearing . 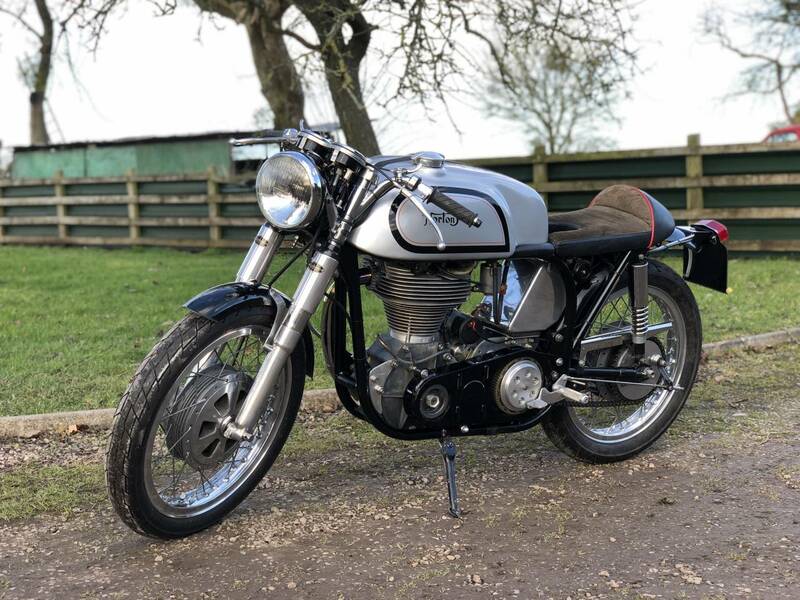 This Is A Fabulous , Road Ready , Manx Special , With Lots Of History , Paperwork , Receipts , Operators Manuals , Owners Club Authenticity Letters , Etc . Comes With A Spare Goldie Exhaust ; Optimiser Trickle Charger ; To Keep The Battery Charged Up , When Not Ridden ; Skimmed Brake Drums , New Shoes. The Front And Rear Brakes Operate The Rear Brake Light ; New Electrics And Wiring ; All New Paintwork , To Frame , Tank And All Other Painted Parts . 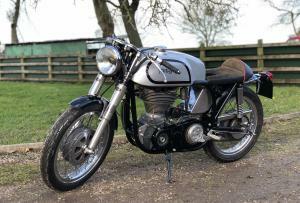 A Superb , All Norton Racer , Which Is Great Fun ; That You Can Relive The Senior TT On .. And On Public Roads ! A Fantastic ; "One Off" Individual Machine , That's Tax And Mot Exempt , With Great Build Quality . It's Very Rare To See An Historic Manx Engined Norton On The Road ! Must Be A Blue Chip Investment ! For 50 plus years Francis Beart, who died in 1983, was one of the great men of British motorcycle racing. Though a noted Brooklands tuner, his reputation was founded post-WWII with Manx Nortons, latterly instantly identifiable in Ford's Ludlow Green livery. He collected an unsurpassed total of 11 Manx GP wins plus ten 2nds and three 3rds, sufficient to mark Beart as a Master of Mann. He preferred longer, public roads events like Isle of Man, where reliability and speed both counted. Genuine Beart Nortons are very rare. Francis looked after many engines, but his attention to detail made his own bikes special. No customer could pay for the countless hours spent perfecting the cycle parts. Bolts were hollowed, steel was replaced with aluminum and drilled like Swiss cheese. Unsprung weight reduction was his passion – and no plump riders! Beart's engines were rebuilt with infinite precision, each setting being logged for posterity. Less friction, more speed was his mantra. Wheel bearing replacement every race and mounting shocks upside down, were but two tricks. He used the narrowest rim and tire to save weight and reduce the contact patch!